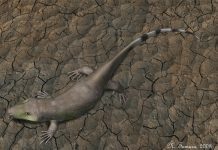 Longisquama is an extinct reptile which lived approximately 230 million to 225 million years ago during the Middle Triassic Period. It was first discovered in 1970 and was named later that year by A. G. Sharov. Its name means “long scales” in Greek. If you were to try to determine if this reptile was real or not by merely looking at Longisquama pictures, then you would most assuredly come to the conclusion that it was an animal that someone made up. 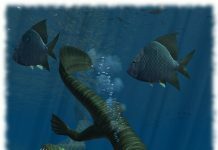 However, you would be dead wrong because this reptile actually lived during the Middle Triassic and it actually looked like it does in modern illustrations of it. 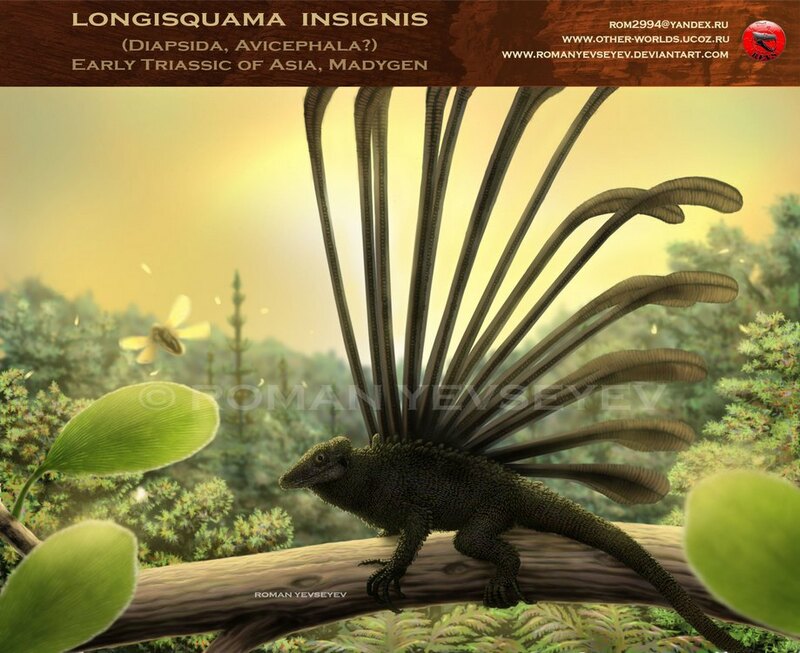 Longisquama was approximately 6 inches long and weighed a few ounces. It had feather-like plumes which jutted from its back and it appeared to have walked on all four legs. 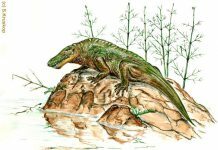 However, since the fossil of this reptile is incomplete, there is still a lot that isn’t known about this reptile’s anatomy. 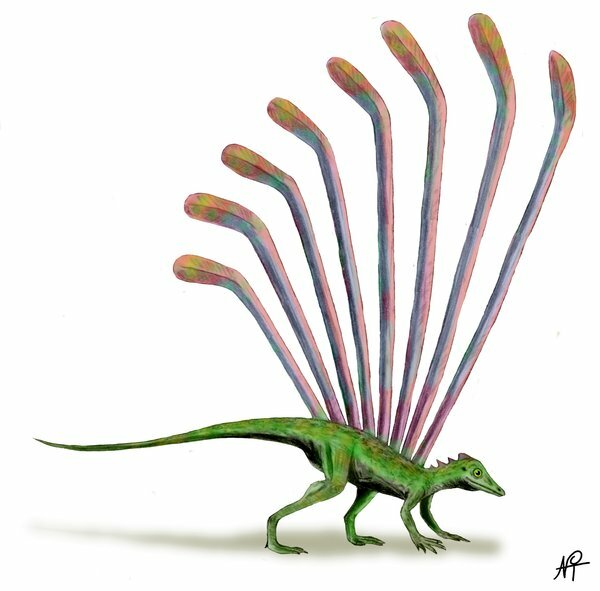 For instance, paleontologists still don’t know what orientation this animal’s plumes were in or what they were used for. Until more fossils are turned up, these mysteries will remain unsolved. One of the most interesting facts about Longisquama is that it might have used its plumes to get some lift when it jumped from tree to tree. It also may have been used as decoration used for male mating selection. At this point, paleontologists aren’t exactly sure. 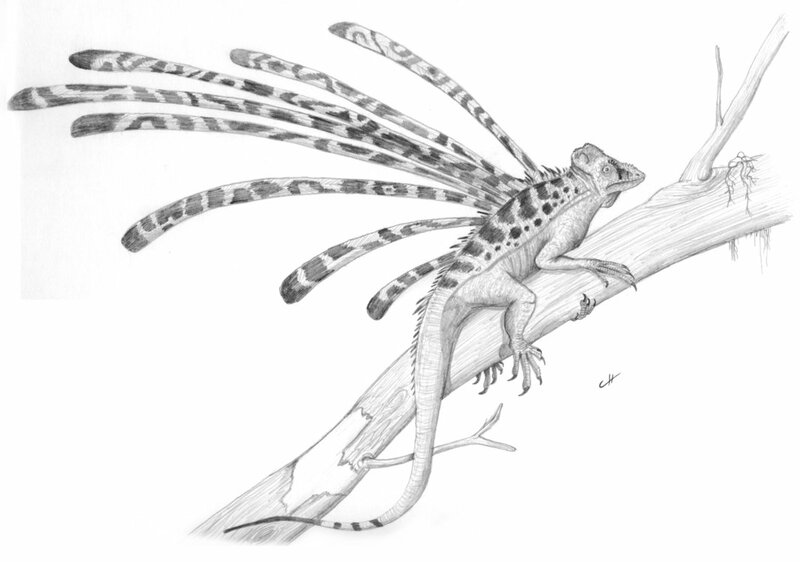 Since its plumes are almost feather-like, some paleontologists have reasoned that this reptile may have been an ancestral relative to modern birds. If that is the case, then it will have to be reclassified as an archosaur or change the whole classification system to trace the evolution of birds back to these gliding lizards. Another thing that is currently unknown about Longisquama is what it ate. 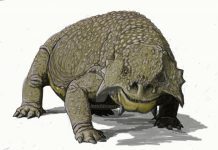 Some paleontologists contend that its small size and the shape of its teeth point to an insectivore diet, others do not agree and believe this reptile may have been an herbivores. As is the case in just about everything related to this reptile, it won’t be known until further evidence is exhumed.